New doctor in the family? Celebrate this amazing achievement with custom magnets. 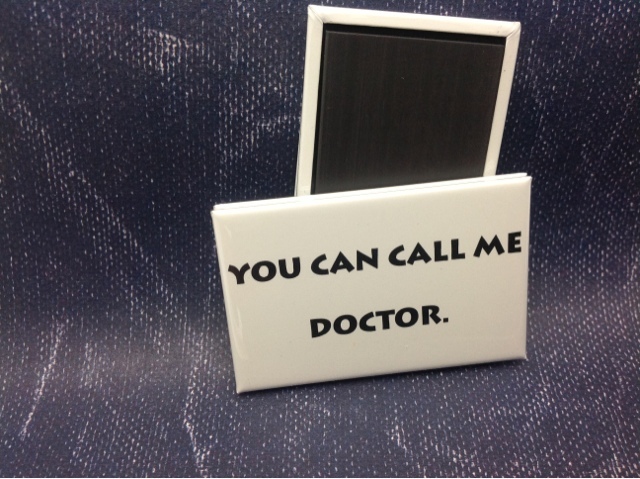 These custom rectangle magnets are 2.75" wide by 1.75" tall. Printed on high quality paper, with commercial printing equipment, and covered with a protective layer of Mylar. 100% made in the USA at incredibly low prices. Campaign buttons come in all shapes, and sizes. The most popular button choices for cheap campaign buttons are the custom round buttons, in the 1.75" diameter, 2.25" diameter, and the 3.00" diameter. 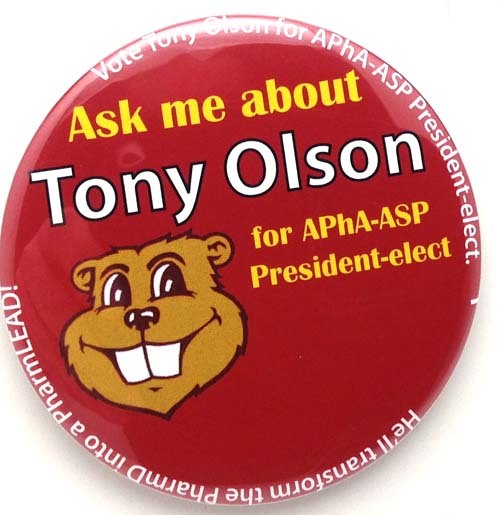 This custom campaign button is a 3.00" round button, with a fun multi-color design, with an attractive eye catching border. Help boost the response rate of your campaign with custom campaign buttons. Why purchase campaign buttons from Half Price Buttons? Are you looking for a magnet to send to friends and family, to let them know of your wedding date? 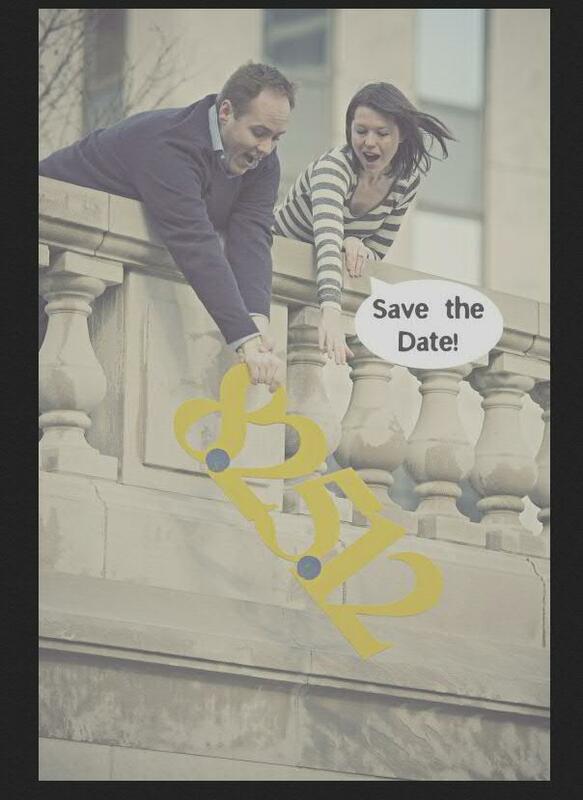 Try a save the date magnet, customized with your photo, wedding date, and any other information you want to share. Are you hosting a bridal shower? Looking for a fun party favor? 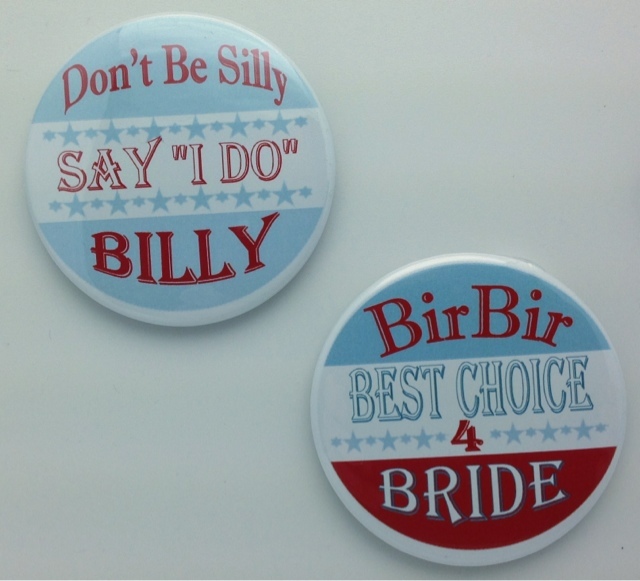 Try custom buttons with a cute, relevant, design for your guests of honor. Keep it fun and memorable with custom party buttons. These buttons were made in our popular 3" Round Custom Button. Everyone knows that name recognition is key when running for office. Help get your name in front of constituents eyes, with custom pinback buttons. Our pinback buttons are available in a number of eye catching shapes, including round, square, rectangle, oval, and diamond. With our low prices on custom buttons, you'll have more advertising dollars to spend elsewhere, helping increase your chances of success at the ballot box. If you need assistance designing your custom campaign buttons, contact us via live chat. We can point you to our custom button templates, or design a button for you. Did you just see a great performance by your favorite band? Did you get a few great photos that captured the moment, the performance, the thrill of a live concert? 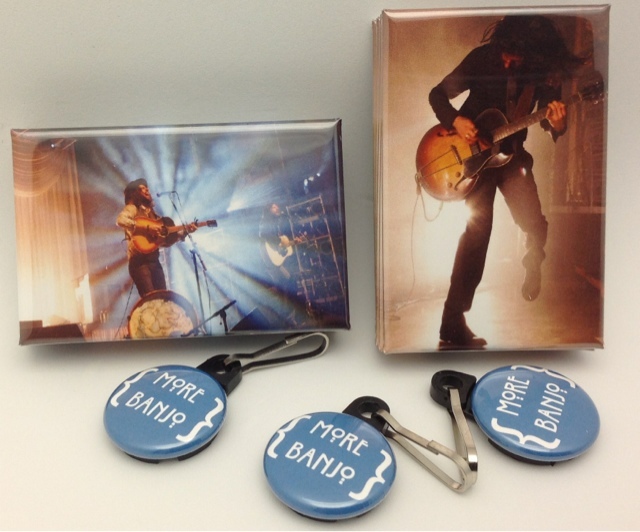 Keep that moment alive by turning your concert photos into custom magnets, and placing these magnets in all your favorite places. Give them to friends who joined you at the show, or even friends who were unable to make it to the show. Order 25 or more custom concert magnets, and we will provide you a set of 3 zipper pulls in any of our designs, or your own design free of charge. Absolutely free, no extra shipping, no hidden fees, just free custom zipper pulls. Let us know what design you would like in the comment field at checkout. Custom pinback buttons are a great way to advertise your new product, service, or organization. Pinback buttons are a non-aggressive way to reach your customers, sharing information with them through a subtle, yet effective, pin on a shirt or apron. Many large retailers, as well as small, use custom buttons to promote their holiday sales and limited time offers. While they don't publish their campaign success stories, one can assume they are successful as they continue to use this type of promotion. If custom buttons are a great advertising tool for their companies, they will likely be for your company as well. You can read about how JcPenny used 80 million custom buttons between black Friday, and Christmas Eve, to get customers into their stores. 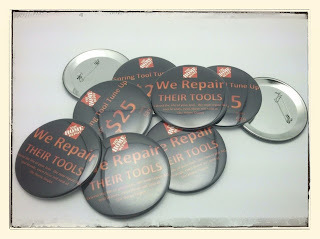 Also shown below is an example of a promotional button campaign, used to increase the service departments revenue, and to better serve the customer. Are you a graphic designer, looking for someone to print your artwork, and press it onto high quality custom buttons? Look no further! Half Price Buttons is committed to quality, and we will work with you, the graphic designer, to get the look you want for your custom art. For example, if you are looking for a matte look, we can offer up an acetate cover for your custom button. 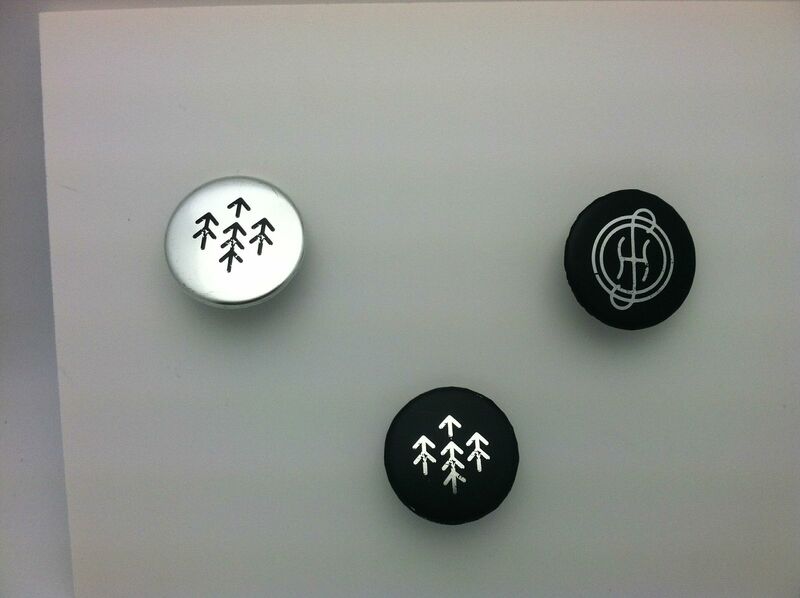 If you are looking for a shiny, gloss custom button, we can use the standard mylar covering for your custom artwork. We will go the extra mile to make your project a success, and keep your art looking the way you intend it to look.